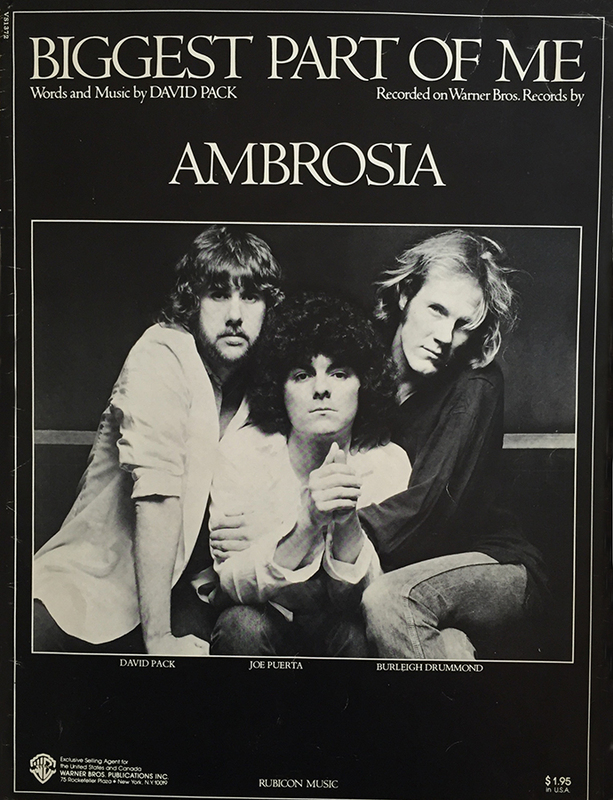 Los Angeles quartet Ambrosia, whose founding members included guitarist/vocalist David Pack, bassist/vocalist Joe Puerta, keyboardist Christopher North, and drummer Burleigh Drummond, fused symphonic art rock with a slickly produced pop sound. 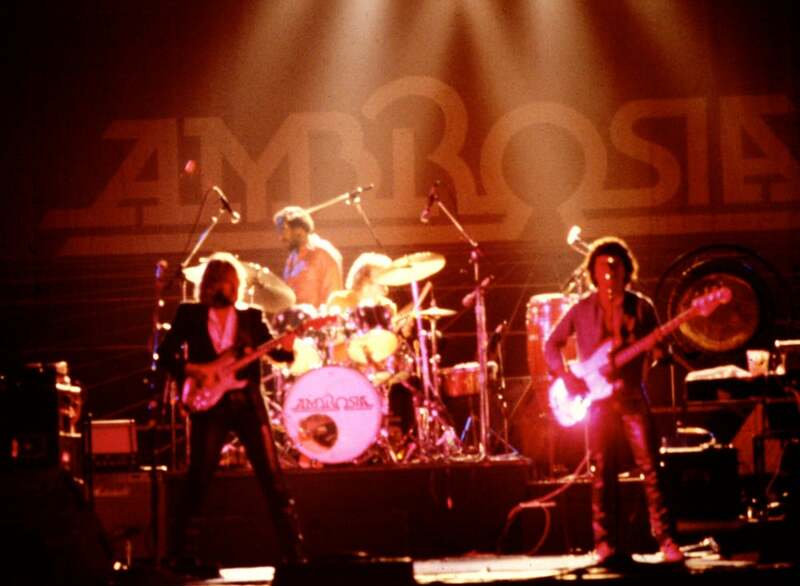 The group was discovered in 1971 by Los Angeles Philharmonic conductor Zubin Mehta, who featured Ambrosia as part of a so-called All-American Dream Concert. 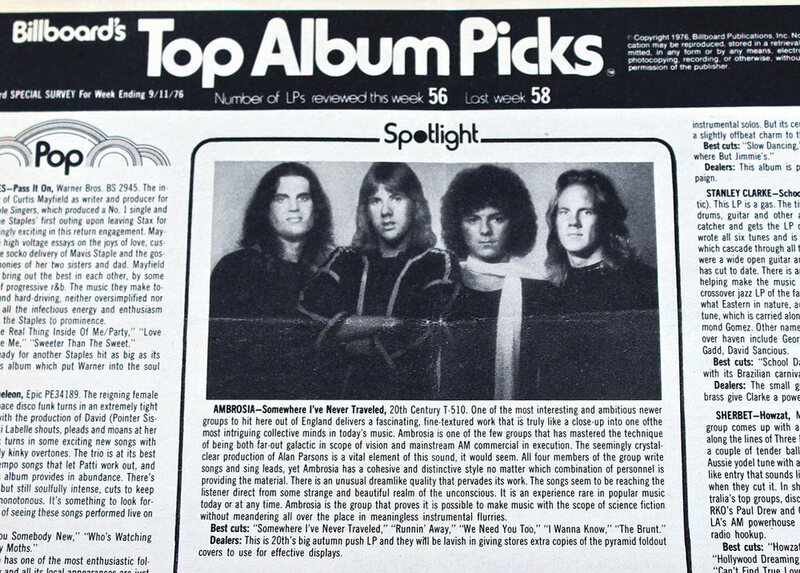 However, it took them four more years to get a record contract; Ambrosia was released in 1975 and spawned the chart singles "Holdin' on to Yesterday" and "Nice, Nice, Very Nice." (The latter was based on Kurt Vonnegut's Cat's Cradle.) 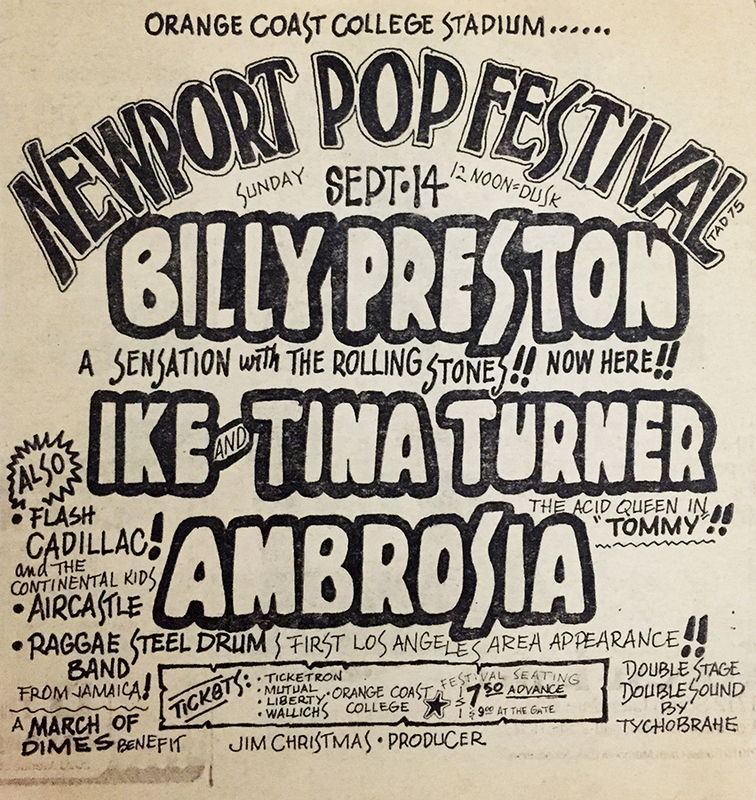 Ambrosia scored another hit in 1977 with a cover of the Beatles' "Magical Mystery Tour" from the film All This and World War II, which they also appeared in. 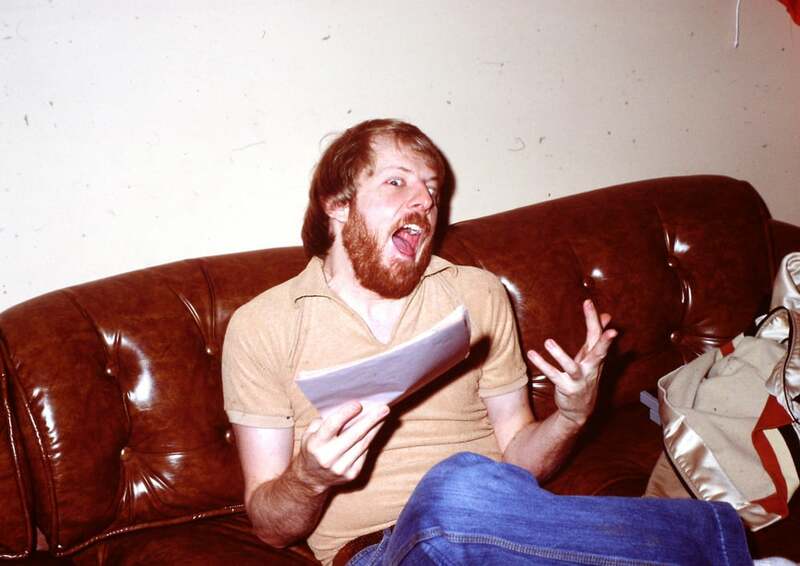 North left the group just before their biggest pop breakthrough in 1978 with the number three hit "How Much I Feel." 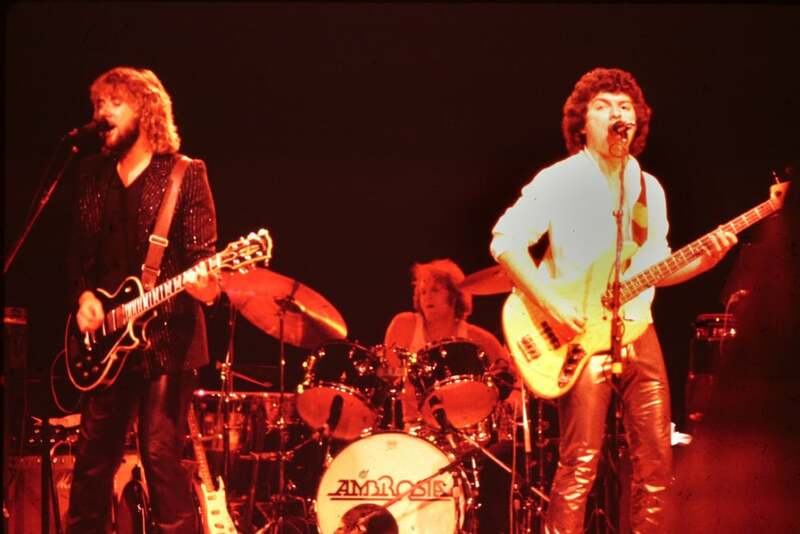 Ambrosia followed this success in 1980 with another number three hit, "Biggest Part of Me," and the number 13 follow-up "You're the Only Woman." 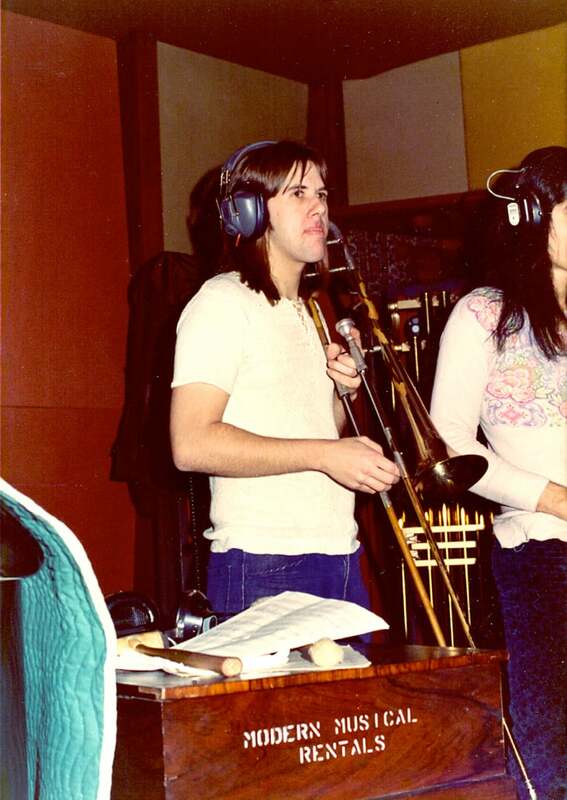 Following are Ambrosia studio albums, spanning 1976–1982, and greatest hits compilations. Charted albums and their top positions appear next to the year's release date. Click on the buttons below for more information, listen to song samples and purchase the albums. 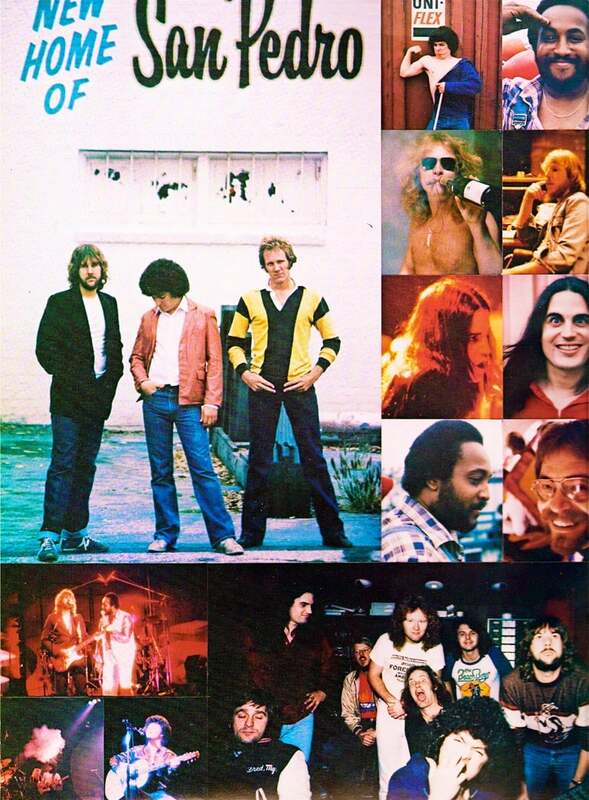 20th Century | Warner Bros.
1978 How Much I Feel 3 Life Beyond L.A.
1978 Life Beyond L.A. – Life Beyond L.A.
1978 If Heaven Could Find Me 107 Life Beyond L.A.